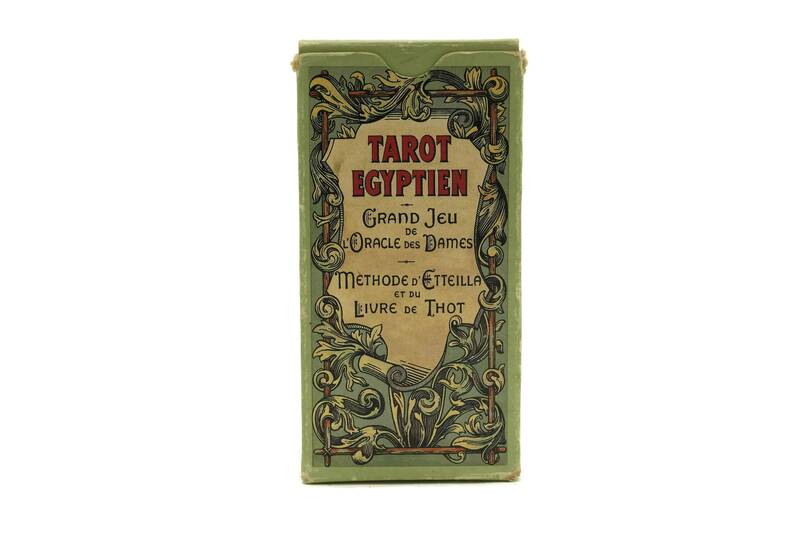 Vintage Egyptian Tarot Deck. 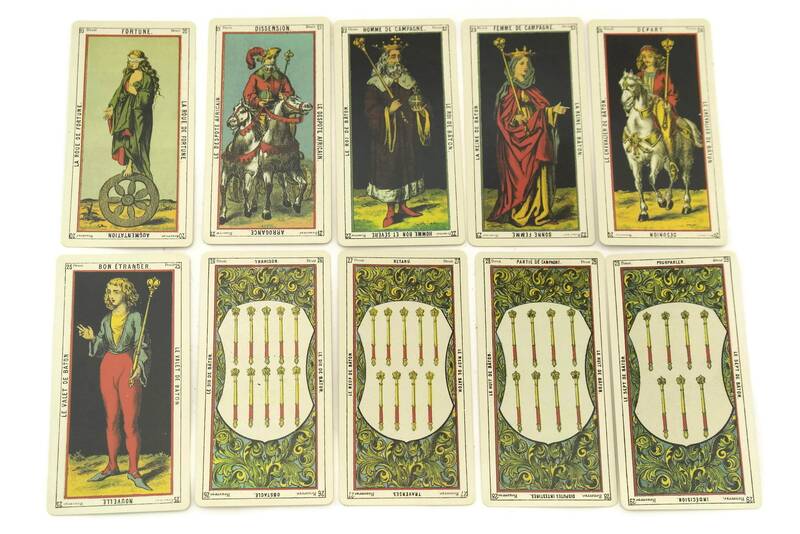 French Fortune Telling Cartomancy Cards. Etteilla and Book of Thot Method. 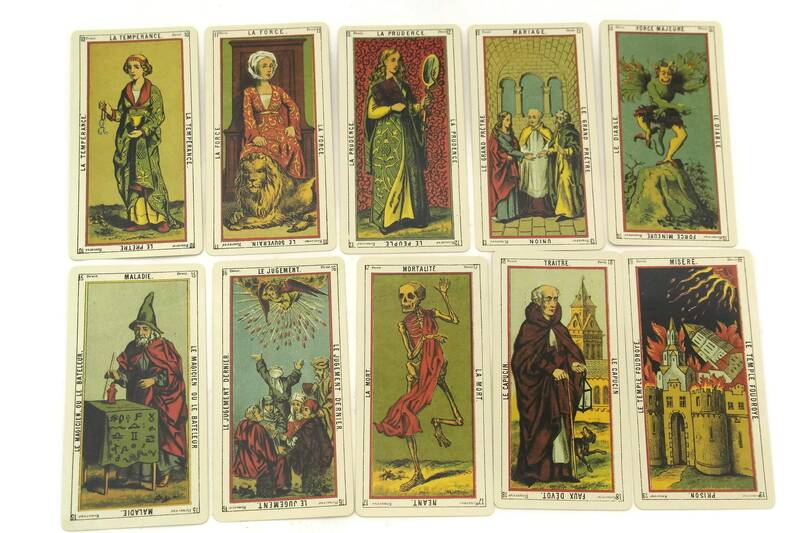 Cards Reading. Esoteric Gift. 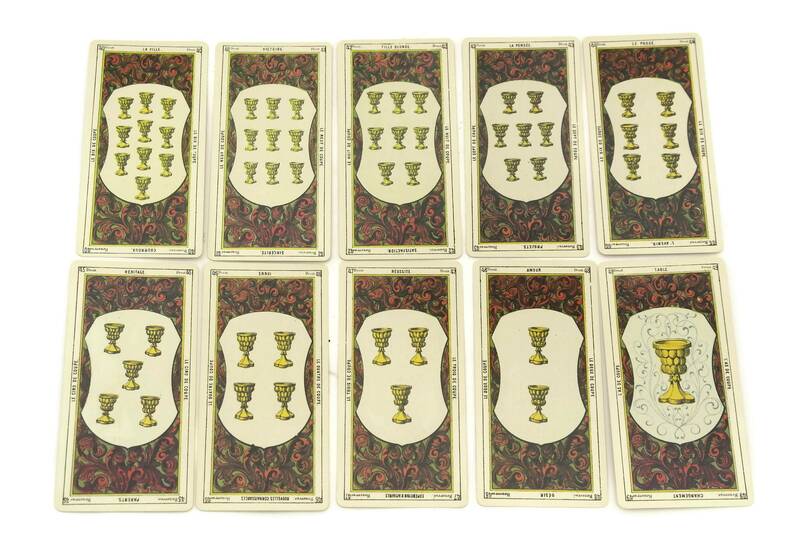 A vintage Egyptian tarot deck published by the Dusserre Editions in the 1970s, also known as "Grand Jeu de l'Oracle des Dames". 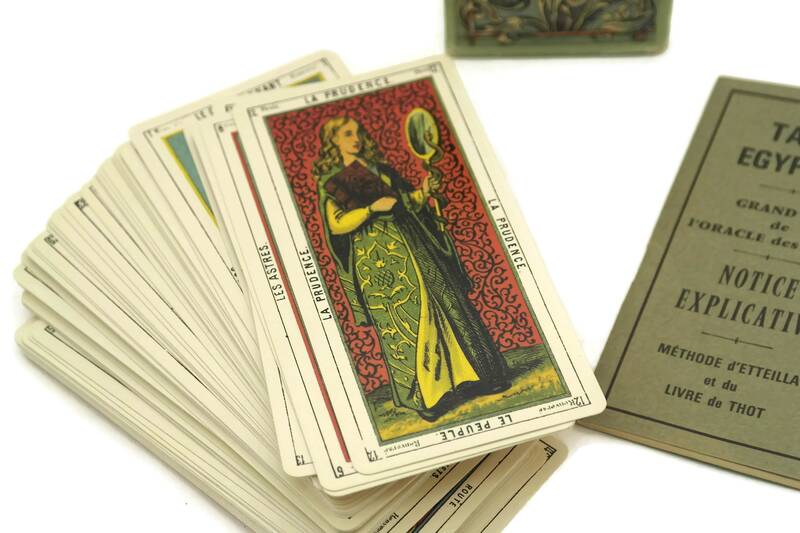 The deck is a reproduction of a deck of 78 cards edited in 1870 of which the original has been conserved in the National Library in Paris. 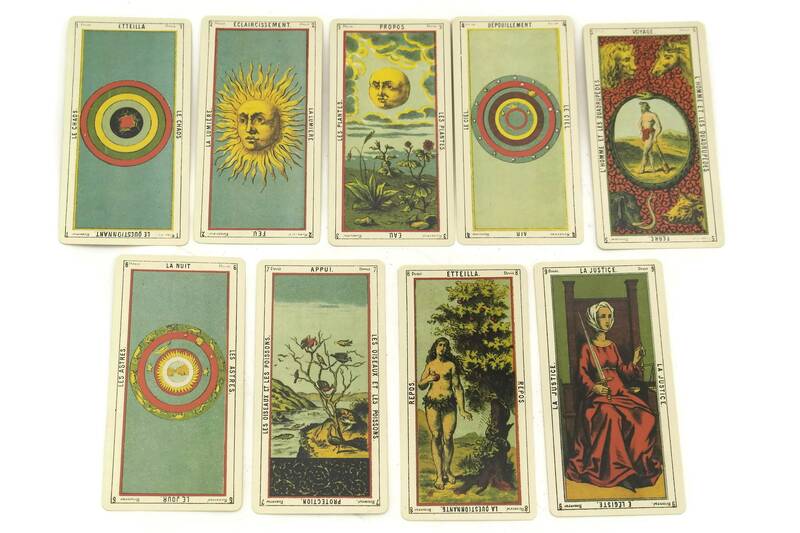 Each of the 78 cards of this Egyptian Tarot is exquisitely illustrated. 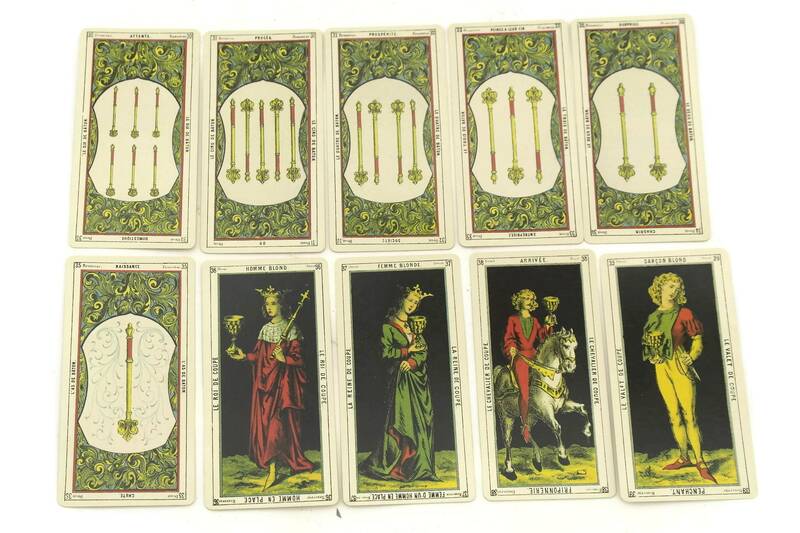 The French fortune telling cartomancy cards can be used for cards reading using the manual of Etteilla Book of Thot. 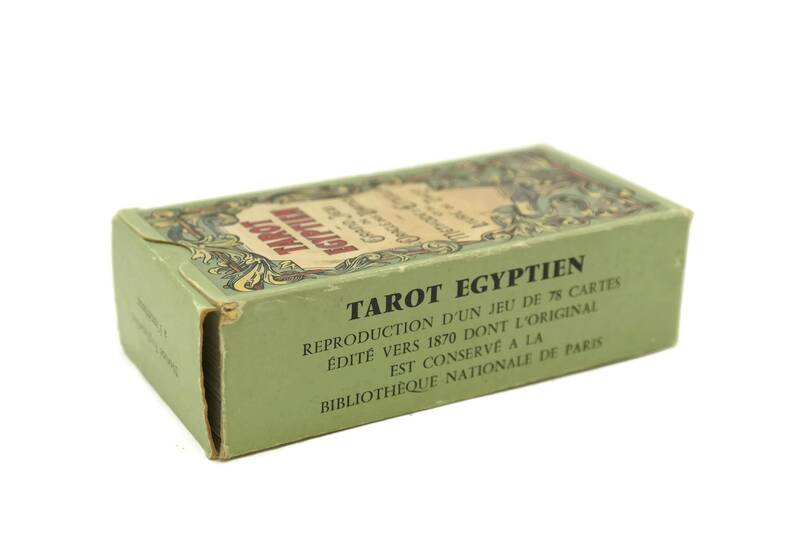 The full deck comes in its original box and an instruction booklet written in French. 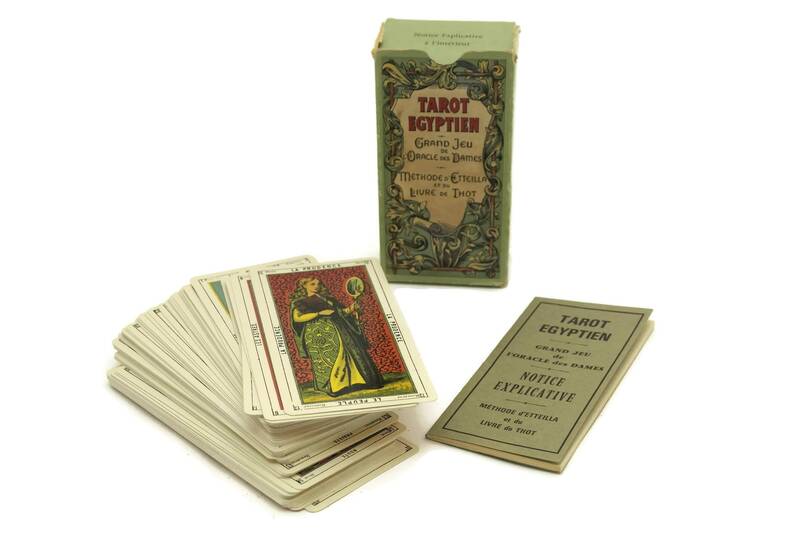 It will make a great esoteric gift. 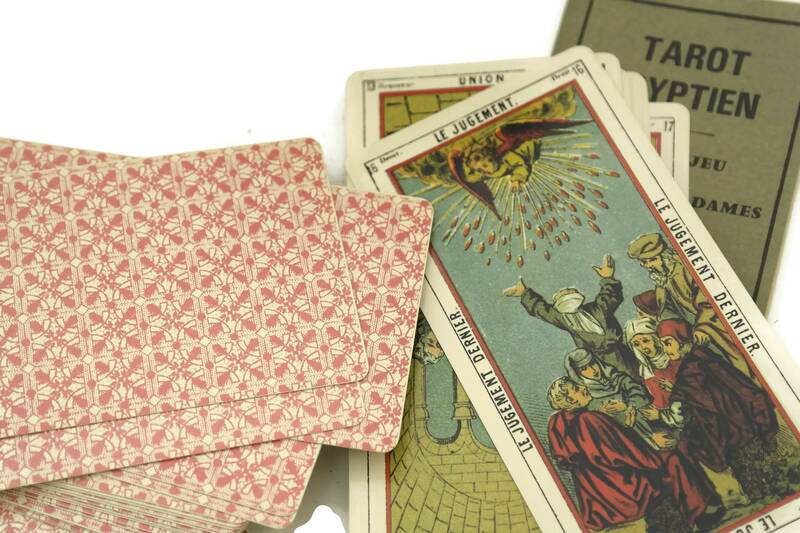 Each card is 4 1/2" x 2 1/2" (12 cm x 6,2 cm). The cards and the instruction booklet are in very good condition. The box is worn in places.